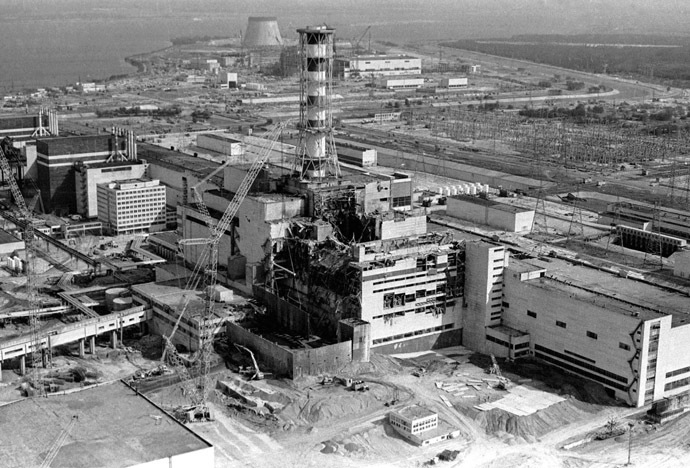 In the early hours of April 26, 1986, an ill-advised and ill-conceived test at the Chernobyl nuclear plant triggered a chain of events that culminated with Reactor 4 blowing up, releasing vast amounts of radioactive material into the Ukrainian night. The radiation poisoned huge expanses of land for generations to come. Thirty people died within three months of the event, either as a direct result of the explosions and ensuing fires, or due to acute radiation poisoning. Thousands more would be affected in the immediate surroundings and downwind from Chernobyl, as a radioactive cloud drifted down range. Though the exact number of people affected by the tragedy will never be known, the lives and livelihoods of millions would fundamentally change forever. Today marks the 30th anniversary of the worst nuclear accident in history, and a series of commemorative events will be held in Ukraine and elsewhere. The construction of a gigantic €1.5bn (£1.2bn) steel-clad arch that will enclose the reactor’s site and prevent further leaks for the next century is nearing completion at the plant.